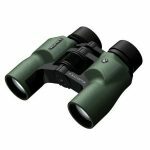 Vortex Vulture HD 15X56 Review [Binoculars] - Low Light Legends! This Vortex Vulture HD 15X56 has XR fully multi-coated lenses, HD lens elements, phase correction coatings, and Dielectric prism coatings. It’s also outfitted with extremely durable rubber armor, ArmorTek, and is tripod adaptable. Do I need to mention the large 56 mm objective lenses? It’s doing an excellent job in the bino field with a decent number of reviews and a near perfect rating. No need to say more. You’re probably glad to know that I’ve moved on from the 10X42 platform with this over the top 15X56 binocular. Since I wanted to review a model from the Vulture line, I may as well go big – so I went with the biggest. But, if you’re still wondering what dielectric, XR coatings, and all that good stuff is, I’ve got revealing news for you – all the answers are right here in full detail in our Q&A. What is XR Fully Multi-Coated? This is Vortex’s proprietary coating that gets applied to all air-to-glass surfaces multiple times. While Vortex already has phase correction coatings applied to their roof prism models, they go the extra mile and apply this proprietary blend for a truly brilliant image. But, what do these extra coatings do? XR fully multi-coated lenses are made to do a few things. One of the most obvious is to increase light transmission as much as possible. This means, using specially formulated coatings to allow the binocular to collect as much light as it can and transmit it to the eyepiece with as little light loss as possible. The XR coatings need to do double duty and keep light reflections, on the exterior, and glare to a minimum. But, you can’t just slap on as many coatings as you want and think you’ll get optimum vision. There’s a science to it. You need the right balance of thickness and the right number of layers of coatings to get it just right. Unfortunately, these kinds of details are usually under lock and key. What are Dielectric Prism Coatings? Great question! Along with phase coatings, XR coatings, and the like, there’s also a very important coating that all roof prism binoculars require, and that’s the mirror coating. A mirror coating is needed to enhance light reflectivity. In a roof prism model there’s one surface that needs this highly reflective coating in order to increase the light reflectivity since there is no way for it do this internally due to angles etc. But, without getting into the boring stuff and the long-winded version, here’s the short one. Normally, you’ll see binoculars made with silver or aluminum as the mirror coating. The reflectivity rates of silver is 95 to 98 percent which is a lot better than aluminum with a rate of 87 to 93 percent. The reflectivity rate of a dielectric coating is guaranteed to be more than 99 percent and is compared to seeing images just as good as the naked eye. The dielectric coating replaces the metallic coatings on the angled surface that needs the intervention, and it then acts like a dielectric mirror or Bragg mirror. To give you a better idea of this, dielectric mirrors are used to make very high-quality, ultra-high reflective mirrors. These mirrors can even reflect light from the entire spectrum of the Ti-sapphire laser. Now, how’s that for innovative technology put into your binocular? Pretty fancy! How will this Vulture perform in low light conditions? This binocular was made for the night. Although the Vortex website doesn’t post its twilight factor, I did a little digging and found out it has a high value of 29. But, this isn’t the only important factor in determining its night-shining abilities. It’s exit pupil is 3.7 mm which isn’t bad for a binocular. Although you could probably do better with a larger exit pupil for low light use, this will work. But, the real shiner is the 56 mm objective lenses. These will collect a lot of light, and although not all of it will be usable, you’ll still see a brighter image. Just try to convince the night stalker who has a 56 mm objective bell otherwise. But, size doesn’t always matter. If you’re not sure about this statement, check out our Objective Lens Diameter: Does Size Matter? article if you want it straight. But, whether or not 42, 50, or 56mm are better for image brightness and clarity at night, you know for sure that quality glass has the upper hand above all these factors. With the specs and techs on this Vulture 15X56, I wouldn’t be worried about how it’s going to perform at low light. Like a vulture in the sky, it’s going to pick out any scent of a movement from your bedded buck. How do I mount this Vulture to a tripod? With no image stabilizer in this 15X56 binocular, you’re going to want to mount this bino to a tripod. Now, most people get at least a little confused when trying to figure out how and where to mount it. You might have been one that looked underneath the binocular and saw nothing. Well, I’ve give you a hint, it’s not on the bottom. If you look between the objective lenses, you’ll see a small, monogrammed, round cap with the Vortex symbol on it. This is your entry to the threading that you need to be able to mount it to a tripod adapter to then mount to a tripod or even a car window mount. The tripod adapter 1/4″ threading will fit into the Vulture HD, as well as any other Vortex tripod adaptable binocular. The tripod adapter also has a 1/4 inch x 20 mm threading at its base that will allow it mount to almost all tripods and mounts. Oh, but you don’t have the adapter right? It’s also an expensive $20 more to purchase. Well, if you’re going to buy the Vulture HD binocular, Vortex will throw it in with your purchase. That’s VIP treatment right there. To glass it up, the Vortex Vulture HD 15X56 binoculars are excellent. If we could break correct grammar rules, we’d be repeating the word “excellent” all day long in every sentence of this post. However, to save being hit up by the grammar police, we’ll leave it at that. It’s heavy because it’s a 15X56 binocular! Use it with a tripod or car mount and you’re good to go. If the Vulture is overkill for you, just head over to the Vortex Razor HD 12X50 binos. Yeah, now those are more like it. Just brace yourself for the price jump! If this is too much weight and too high powered for you, you could just wuss out and go with the Simmons ProSport 10X50 binos. If you do, we don’t want to hear about any complaints about price and quality. If you want the best there is, be willing to pay for it. When you buy from Vortex, you can expect mid-level prices for high-end quality. That’s the type of theme touted by Vortex fans from all over the nation – including from us. Vortex Optics Raptor 8.5X32 Porro Prism Binoculars (R385) - Under $100!